Videos on most sites make use of progressive downloading, which means that the video is downloaded to my computer, and easy to trace. There are lots of extensions out there to do this, and even in the dev-tools this is easily done. On certain websites videos are streamed. which means that we do no just download 1 file, we download lots of small packages. In the dev-tools these packages can be traced. The website I'm interested in is: http://www.rtlxl.nl/#!/goede-tijden-slechte-tijden-10821/c8e2bff7-5a5c-45cb-be2b-4b3b3e866ffb. -The packages have a .TS extension. -I can not play these files. I must have done something wrong, or I'm missing something. I want to know what I am doing wrong. I want to create a chrome extension for personal use which captures the urls of all the packages. when I have all the urls I want to pass them on to a php scripts which downloads them and uses ffmpeg to paste them into a mp4 file. Please help me get the packages. Stream Video Dowloader Chrome extension allows to download m3u8 streams seamlessly. Install and press play on video it will identify the stream. As m3u8x is only available for windows. Once you have identified the m3u8 url you can also use Jdownloader2 or VLC Media Player to download and concatenate the stream. Jdownloader2: Just copy the m3u8 url when it the Jdownloader is open. It will recognize the stream in Linkgrabber tab. Open Network -> Paste m3u8 url -> Checkmark Streamoutput -> Select Settings. Choose output file, container , video and audio encoding. (e.g output.mp4, container: mpeg4, video: h264, audio: mp4a) Start Stream. It will not play the video, but encode it, showing the encoding progress by moving the video play back progress bar. ---> Go to Filter URLs ---> Write "M3u8" --> for Find "m3u8"
You would need to download all of the transport stream (.ts) files, and concatenate them into a single mpeg for playback. Transport streams such as this have associated playlist files (.m3u8) that list all of the .ts files that you need to download and concatenate. If available, there may be a secondary .m3u8 playlist that will separately list subtitle steam files (.vtt). print "done good luck!! ==================  "
I needed to download HLS video and audio streams from a e-learning portal with session-protected content with application/mp2t MIME content type. Manually copying all authentication headers into the downloading scripts would be too cumbersome. But the task got much easier with help of Video DownloadHelper Firefox extension and it's Companion App. 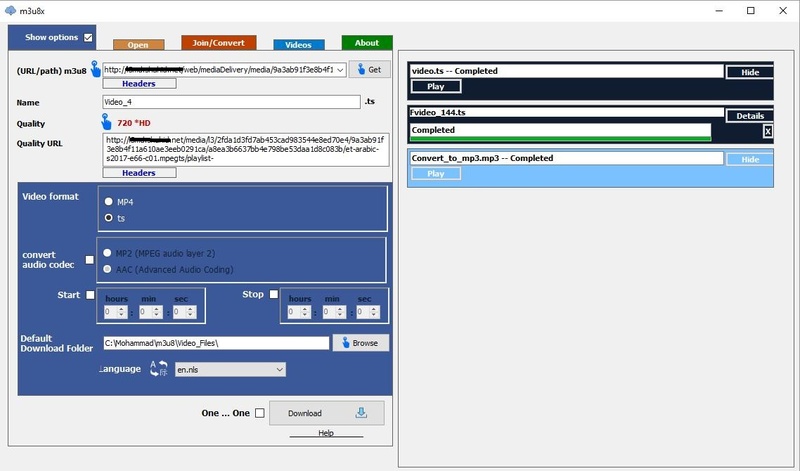 It allowed to download both m3u8 playlists with TS chunks lists and actual video and audio streams into mp4 files via a click of button while correctly preserving authentication headers. Tried Video DownloadHelper Chrome extension too, but it didn't work for me. 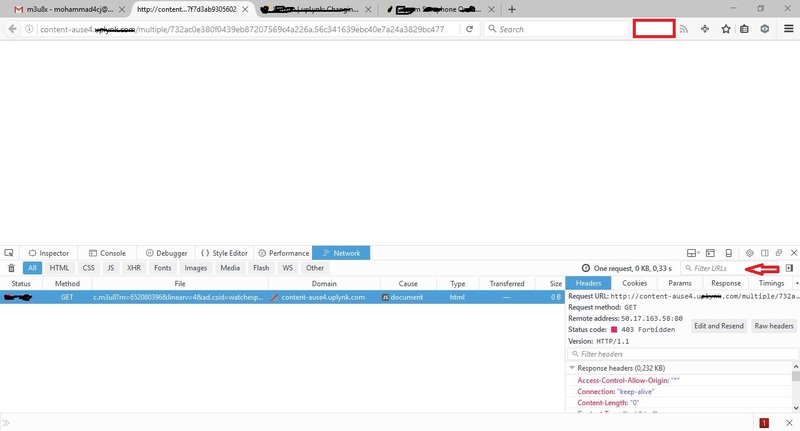 Copy and paste one of the .ts video files into a new tab in Chrome. 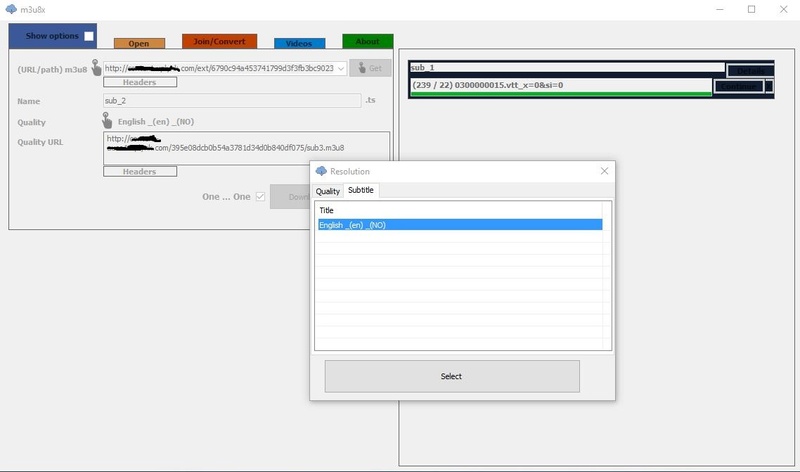 Remove the identifying number of the .ts file (0,1,2,3 etc. or whatever number it is) and change the extension from ".ts" to ".mp4". That should bring up the video file in your browser as usual. I made some changes to dina's answer to avoid attempting to download/combine 1200 parts if there aren't that many. I also found it helpful to sort by waterfall in the network tab of chrome. This will sort by the time the files are downloaded, so when you are streaming a video the most recently downloaded parts will be at the top, making it easy to find the .ts links. Not the answer you're looking for? Browse other questions tagged video stream ffmpeg download package or ask your own question.